Alastair Cook received a grand farewell from the cricketing world, a farewell which a player of his stature deserved and earned. After all, he is the finest opening batsman that England has ever produced. Sachin Tendulkar is another player who comes to mind when talking about a grand departure from Test cricket. He walked into the sunset at his home ground in Mumbai, in front of thousands of his fans. Not all great players are that fortunate to receive such a send-off. There have been a few instances in the history of Indian Test cricket where a batsman or bowler never got an opportunity to bid adieu to Test cricket in front of his fans. One of the most respected cricketers of all time, Dravid was one of the best batsmen of his era. His test record is phenomenal. Dravid played his last Test, against Australia in Jan 2012 at Adelaide, while he announced his retirement a few months later, in March 2012. He had an ordinary tour of Australia which prompted him to hang up his boots. The current Indian U-19 coach thought it was the right time to bid goodbye to the game and give youngsters an opportunity. 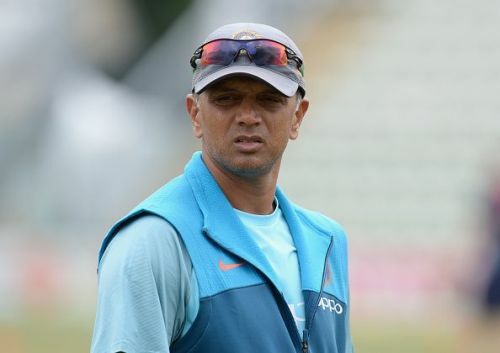 Perhaps a player of Dravid's stature deserved a better farewell, but knowing Dravid, he probably wanted to retire the way he did as he was never a man who liked basking in glory. He was a man of ethics and hard work, who did his job and moved on.